Home > News & Resources > What Conditions Associated With Motor Vehicle Accidents Pose Threats to Children? What Conditions Associated With Motor Vehicle Accidents Pose Threats to Children? Below, we discuss the most recent research related to various medical conditions that both exacerbate the risk of being involved in a motor vehicle accident, and those which are exacerbated by certain injuries that result from motor vehicle accidents. Sadly, the age group most frequently injured and killed in motor vehicle collisions, and thus affected by these conditions, are children under the age of 15. This is also discussed in more detail below. Attention Deficit Hypersensitivity Disorder (ADHD) is a disorder characterized by inattentiveness, hyperactivity, and impulsiveness. Charlotte car wreck attorney Perhaps unsurprisingly, research indicates that people with ADHD are more likely to be involved in motor vehicle collisions (due to these symptoms). Medication for treating ADHD is well-established, and although its effects on motor vehicle accidents are still not entirely understood, a recent study found that when individuals with ADHD were receiving medication, they were at a decreased risk of being involved in motor vehicle crashes. Specifically, compared to those suffering from ADHD who did not receive any medical treatment, the study observed a 42 percent decrease in collisions involving/caused by women and a 38 percent decreased in those involving/caused by men (who suffer from ADHD). This study is important, as it highlights the potentially crucial role that ADHD medication can play in preventing motor vehicle wrecks (as well as the injuries and deaths that can accompany them). Although the study should be replicated and the subject further explored, this research could also eventually give rise to the claim that those involved in motor vehicle accidents who suffer from ADHD, and who, knowing that they need to take medication, fail to do so, are negligent if the failure to take that medicine results in a collision. Each year, many traumatic brain injuries (TBIs) result from motor vehicle accidents. This can happen when the driver or passenger strikes the windshield or driving wheel, or just when the sheer force of any impact causes the brain to collide against the skull. TBIs are among the top causes of disability and death, especially for both the young and middle-aged. One in three individuals who suffer from a moderate to severe TBI will die, and half of those who survive a TBI will suffer from lifelong disabilities. Currently, an estimated one percent of the U.S. population suffers from long-term disabilities caused by a TBI. In addition, a recent study indicates that there is a significant risk of dementia among TBI survivors who appear to have recovered actually remains high for years after the initial injury. According to researchers, it is possible that the TBI itself triggers a process that then leads to dementia. In addition, middle-aged men appear to be the most at risk for developing dementia after suffering from a TBI (of course, the more severe the TBI, the higher the risk of developing dementia). Perhaps most notably, this study indicates that TBI may cause dementia to develop before old age and dementia itself is more significantly linked to injuries (such as TBIs) than previously thought. These results are significant not only when it comes to understanding the long-term rehabilitation and treatment needs of patients who suffer from a TBI, but in understanding the implications and damages that a motor vehicle accidents that cause TBIs can have on an individual’s life, their family, and their rehabilitation needs. This is especially important as the researchers predict that TBI will become a leading cause of death and long-term illnesses over the next ten years. The New York Times recently covered the fact that car accidents are currently the most common cause of death in children under the age of 15. Just between 2010 and 2014, close to 3,000 children died in collisions nationwide–an average of 11 children per week. Most children who die in these accidents each year were not wearing seatbelts (43 percent). Other leading causes of deaths included a child either being placed inappropriately in the front seat or being in a car that was driven by someone who was intoxicated. According to the analysis (as published in The Journal of Pediatrics), each state varied regarding key predictors for fatal crashes involving child passengers. For example, in North Carolina, 15 percent of children who died in car accidents did so because they weren’t properly restrained, while 71 percent died on rural roads (for a variety of reasons, possibly linked to poor lighting, significant distance from hospitals and emergency rooms, etc.). Unintentional injuries (like those associated with motor vehicle accidents) are responsible for too many injuries and deaths each year, and most could be completely avoided by people taking the proper precautions. This is especially the case for children age four years old and under, as they are more likely than any other age group to sustain unintentional injuries that will result in disability and death. The leading cause of unintentional injury-related deaths in school-aged children is motor vehicle accidents. 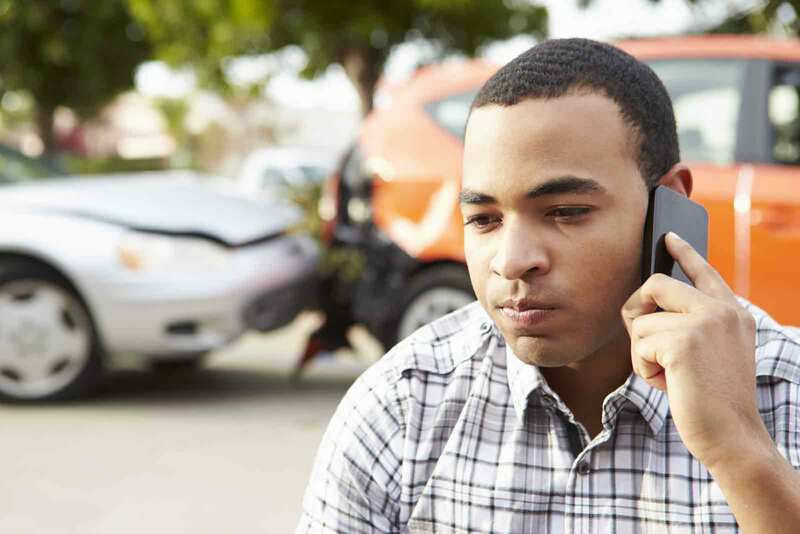 If you or a loved one has been involved in a motor vehicle accident, it is crucial that you speak with an experienced attorney immediately (once that you have ensured your own health and well-being). Speaking with the other party’s insurance company can be dangerous because insurance companies frequently try to get those involved in the accident to admit liability in an effort to reduce claim payouts. At Brown Moore & Associates, PLLC, we are committed to helping accident victims hold at-fault parties accountable and seek the maximum compensation possible for accident victims. We understand that your ongoing medical needs, lost wages, pain and suffering and other damages associated with an accident can be significant, especially if a TBI is involved. Contact us today to find out how we can help you and your family.